Cut rolls in half and spread mayo onto 1 side of the rolls. 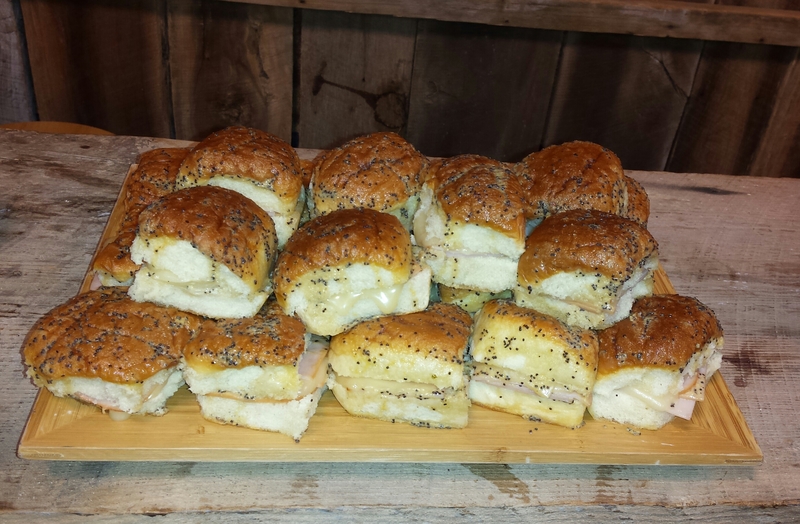 Place a slice or two of turkey and slice of mozzarella cheese in roll. Replace the top of the rolls and bunch them closely together into a baking dish. In a medium bowl, whisk together poppy seeds, dijon mustard, melted butter, onion cracker boy or girl (your choice) and worcestershire sauce. Bake at 350 degrees for 10 minutes or until cheese is melted. Uncover and cook for additional 2 minutes until tops are slightly browned and crisp. Serve warm or at room temp.